EUR/USD is showing little movement in the Friday session. Currently, the pair is trading at 1.1382, up 0.07% on the day. In economic news, Eurozone Final CPI improved to 2.1%, matching the estimate. The eurozone current account surplus widened to EUR 23.5 billion, above the estimate of EUR 23.2 billion. In the U.S, the key event is Preliminary UoM Consumer Sentiment, which is expected to improve to 98.1 points. There were no surprises from eurozone inflation readings in July, as Final CPI and Final Core CPI both matched expectations. Final CPI came in at 2.1%, edging above the 2.0% gain in June. Final Core CPI followed the same trend, with a gain of 1.1%, compared to 0.9% in June. Inflation remains well below the ECB target of just below 2.0%, so there is no pressure on the ECB to raise interest rates. The focus remains on the ECB’s asset-purchase program, which is expected to wind up in December. The euro has endured a rough August, losing 2.7 percent in that time. 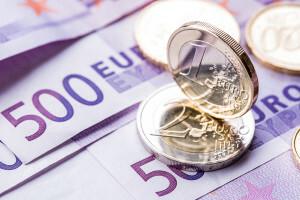 Weak growth in the eurozone and trade tensions with the U.S have affected investor sentiment, and the euro has struggled as a result, trading this week at 14-month lows against a strong U.S dollar. However, the euro’s fortunes could improve, with news that the U.S and China will be holding trade talks. The negotiations will be handled by low-level officials and are being billed as ‘talks about talks’. Still, the fact that the two sides are talking rather than slapping tariffs against each other should raise risk appetite and give the euro a boost.